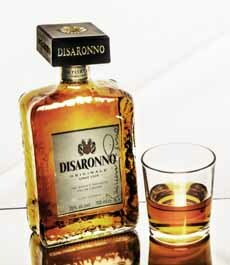  The grandaddy of amaretto: Amaretto di Saronno (photo courtesy Illva Saronno S.p.A). Homemade amaretto (here’s the recipe from Mantitlement). 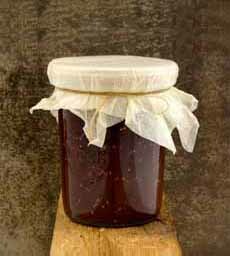 Amaretto preserves (photo courtesy Telltale Preserve Co). 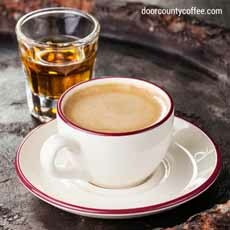 Pour amaretto into your coffee, or serve it as a chaser (photo courtesy Coffee Door Country). 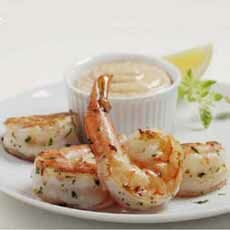 Shrimp in an amaretto marinade (photo courtesy Kansas City Steaks). Today is National Amaretto Day, in honor of an almond-flavored liqueur initially made with local bitter almonds in the area of Saronno, Italy. Here’s the history of amaretto, which dates to before 1525. Amaretto is Italian for “a little bitter,” which it may have been back then. Today, it is sweet—and often made from apricot pits, which taste like almond and are a whole lot less expensive. But what to do with that bottle of amaretto? Gone are the days when a glass of liqueur would be a sweet ending to dinner. Has anyone had an after-dinner liqueur at home since, say, the 1970s? Don’t let the bottle of amaretto gather dust on a closet shelf. Today’s tip is: Take that bottle down and put it to good use! 1. Revive the custom of the after dinner drink. Drink your dessert instead of eating something sweet. You don’t need to buy delicate, stemmed liqueur glasses: Rocks glaasses, even shot glasses, will do just fine. We use miniature brandy snifters. …or brunch coffee…or coffee at any respectable time of day. We have long followed our Nana’s custom of bringing a silver tray with four liqueur bottles (amaretto, anisette, Courvoisier, crème de cacao) and small cream pitchers to the table with coffee. Why the little pitchers? Nana was far too elegant to pour liqueur from a bottle into a coffee cup. It was poured from the bottle into the pitcher, and then into the cup. Why didn’t she serve the amaretto as a chaser in her crystal liqueur glasses? Alas, it’s too late to ask. 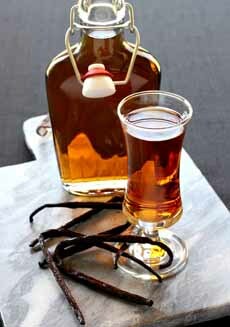 But anyone who enjoys a shot of flavored syrup in their cup of coffee will appreciate the even greater depth of favor from a sweet liqueur—mixed in or served separately. You can even throw a cocktail party with a menu of amaretto cocktails: Almond Joy, Amaretto Alexander, Amaretto and Coke, Amaretto Sour, Italian Sunset and others. And for dessert: a DiSaronno Milkshake, which is just as it sounds: amaretto and vanilla ice cream, tossed into the blender. We have almost 40 different ways to use amaretto. While the biggest opportunity comes in adding a tablespoon or two to sweet foods, there are also savory uses. What if you simply have too much amaretto? Give it away. Our Dad, who didn’t drink alcohol, had four bottles in his closet—and didn’t understand the concept of re-gifting. Tie a bow around the neck; and if you feel you need to buy something, add some liqueur glasses. Thanks to Rosie Bucherati of King Arthur Flour for this yummy recipe. 1. PREHEAT the oven to 400°F. Lightly grease a 9 x 13-inch baking pan. Anything baked tastes good with amaretto. 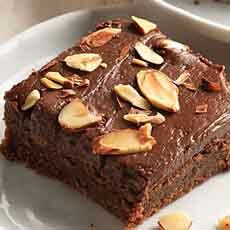 Amaretto brownies (photo courtesy King Arthur Flour). 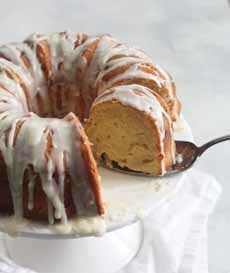 Amaretto pound cake with amaretto glaze (photo courtesy The Baker Chick). 2. MELT the butter and chocolate in a heavy saucepan over low heat, stirring constantly until melted (or you can microwave). Add sugar, stirring until combined. Remove from the heat, and cool to lukewarm. Stir in the eggs and amaretto. 3. ADD the flour, salt and espresso powder, beating gently until thoroughly combined. Spread the batter into the pan. Bake for 18 to 20 minutes, until a toothpick inserted into the center comes out clean. 4. MAKE the frosting. Combine the butter and chocolate in bowl, stirring until smooth. Add the sifted confectioner’s sugar alternately with the milk, beating on medium speed. Stir in the amaretto and espresso powder. 5. SPREAD the icing on the cooled brownies. Garnish with almonds. Cover and refrigerate the brownies for at least 1 hour before serving; this will help the icing set, and make cutting a lot less messy. 6. CUT the brownies in small squares to serve. Cover any leftovers, and store at cool room temperature. If it’s warm in your house, you can wrap them airtight and store in the fridge for a day or so; or freeze for longer storage.